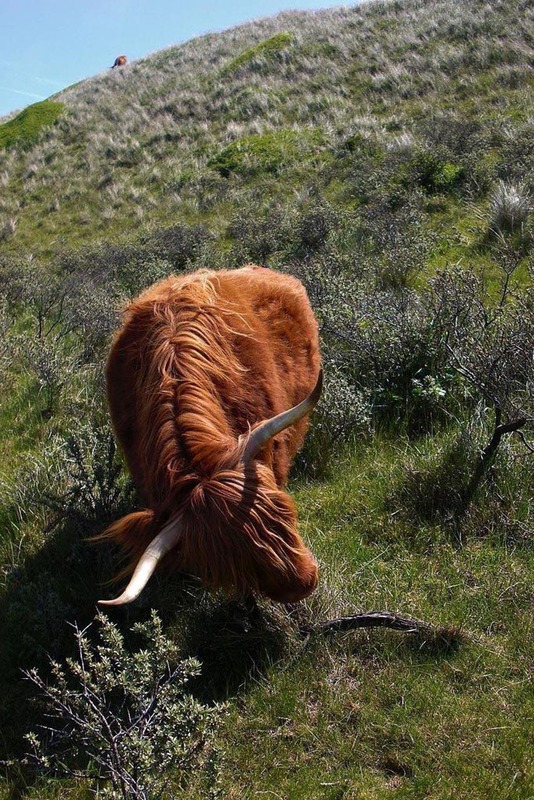 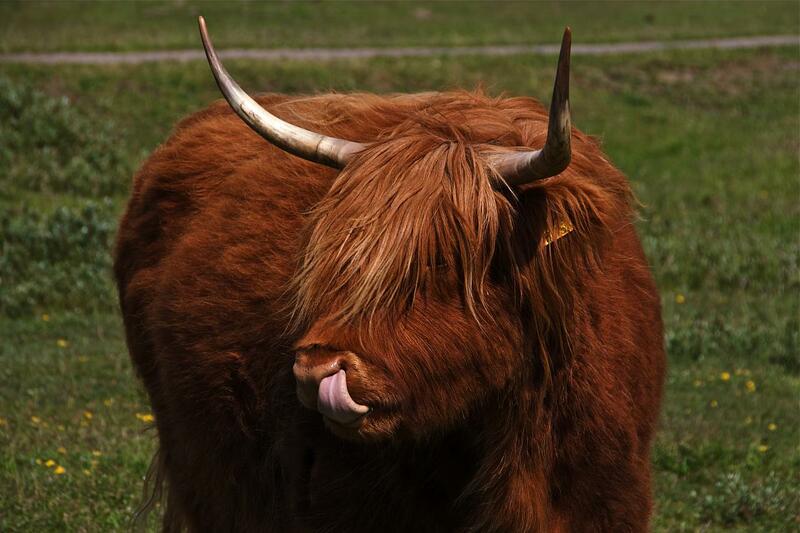 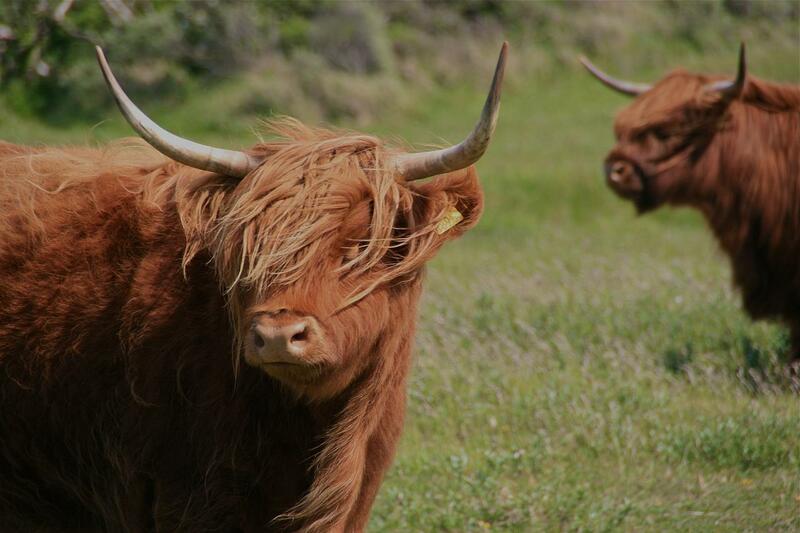 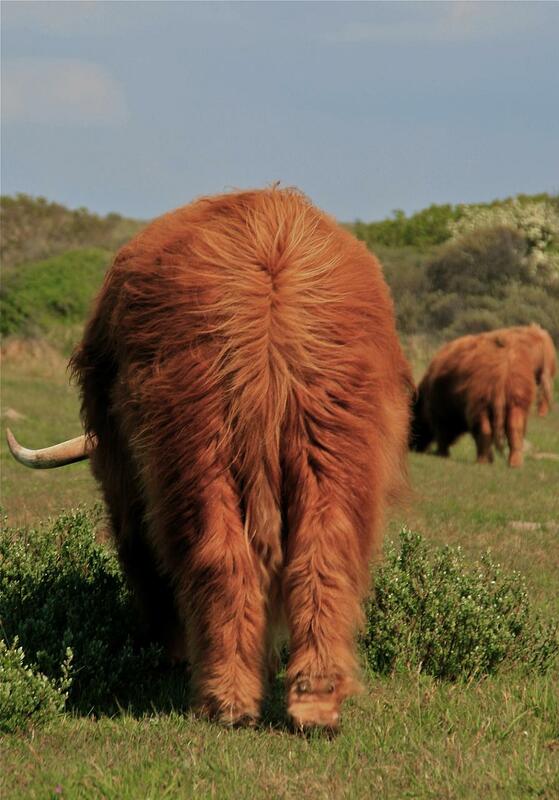 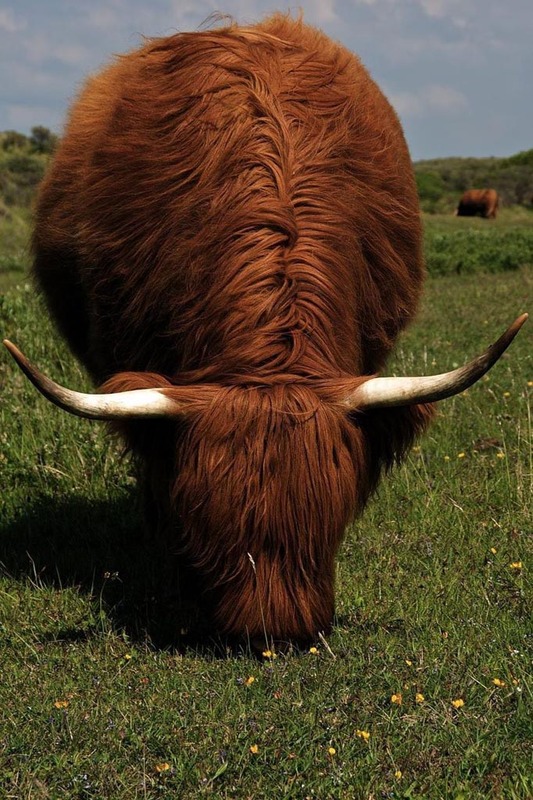 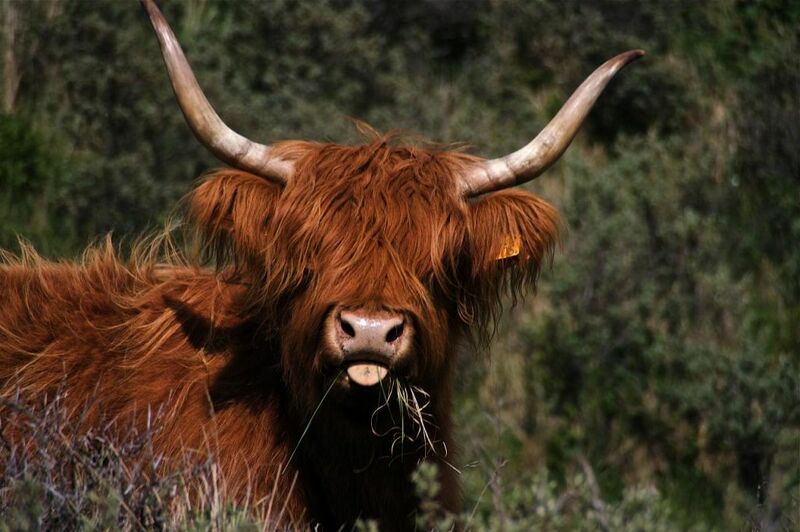 Highland cattle are also known as the hairy cow. 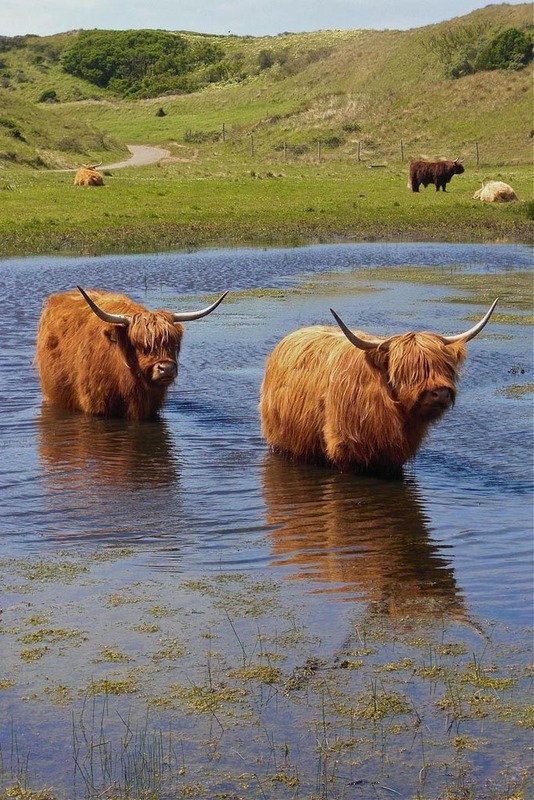 Highland cattle are a Scottish breed of cattle with long horns and long wavy coats which are coloured black, brindled, red, yellow or dun. 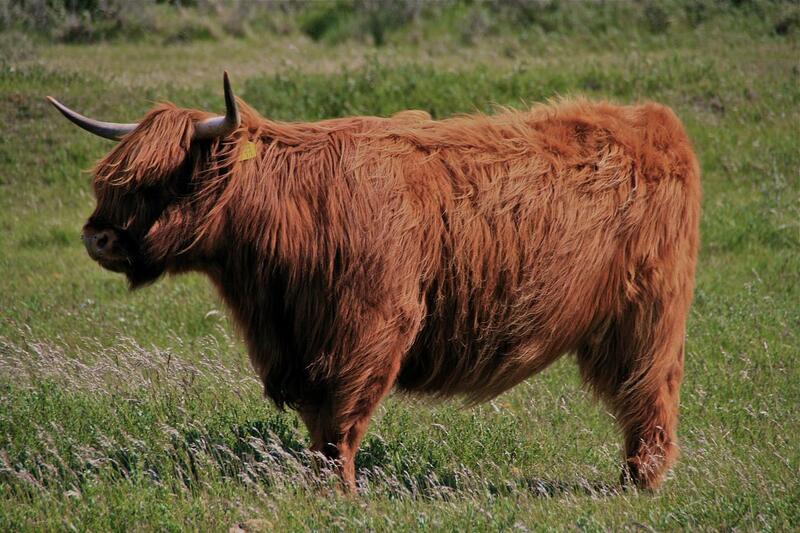 The breed was developed in the Scottish Highlands and Western Isles of Scotland. 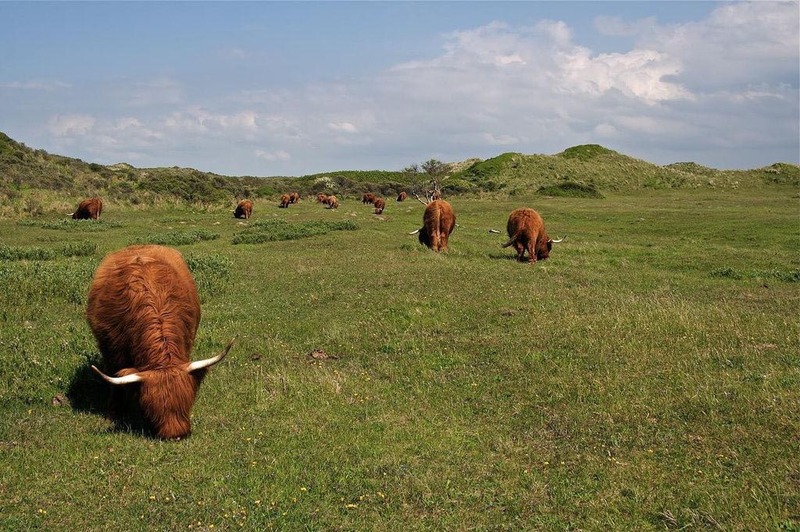 They are capable of surviving some of the harshest environmental conditions in some of the roughest hill country of northern Scotland. 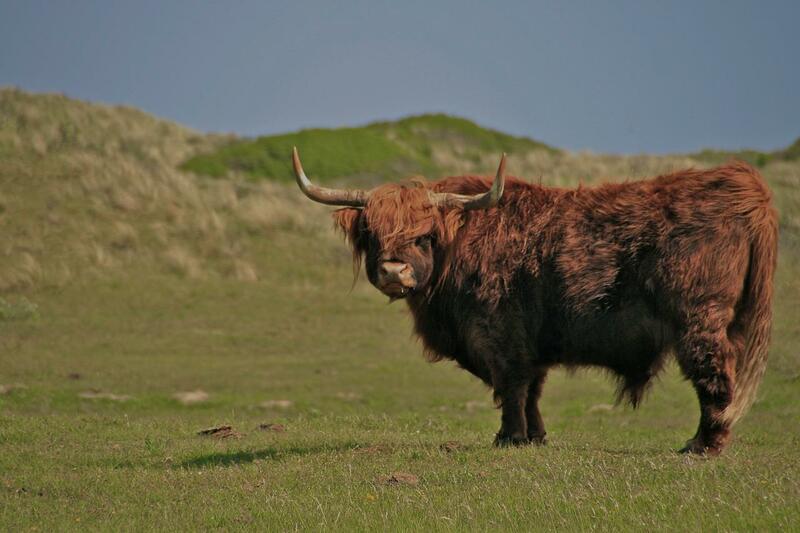 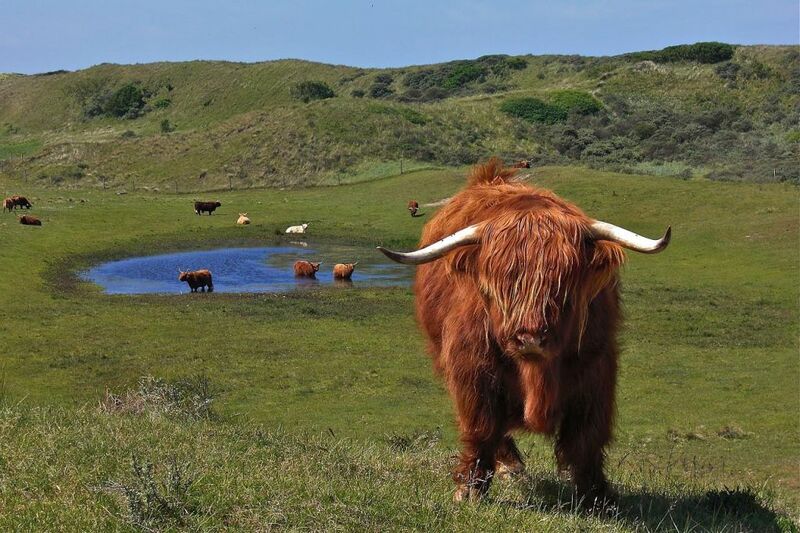 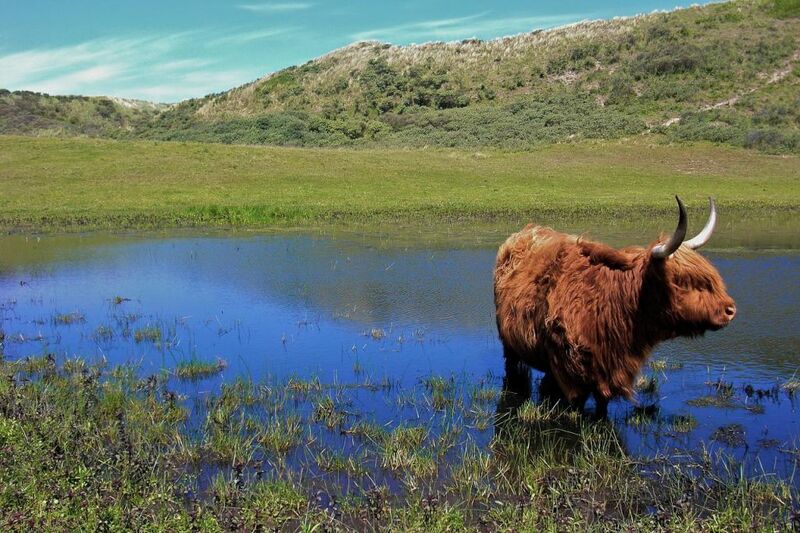 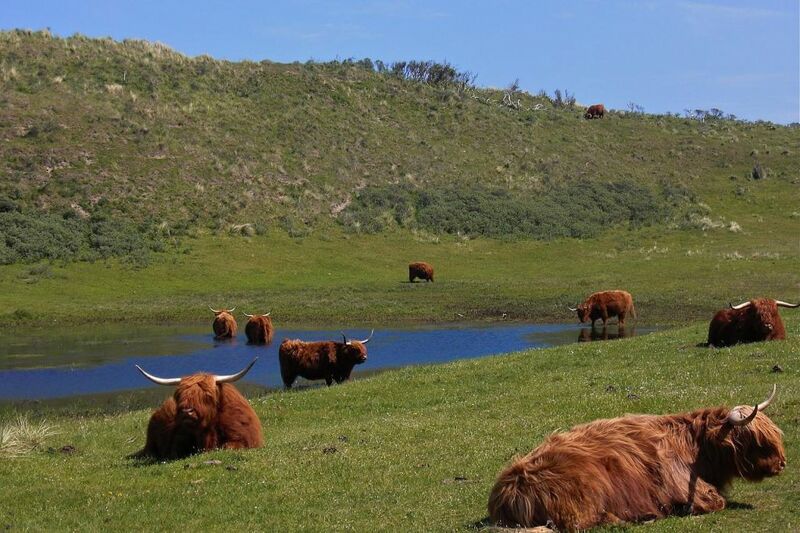 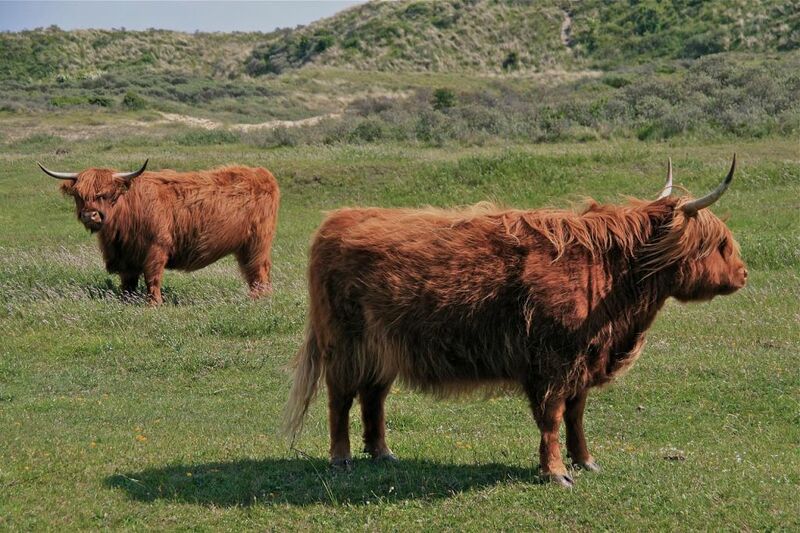 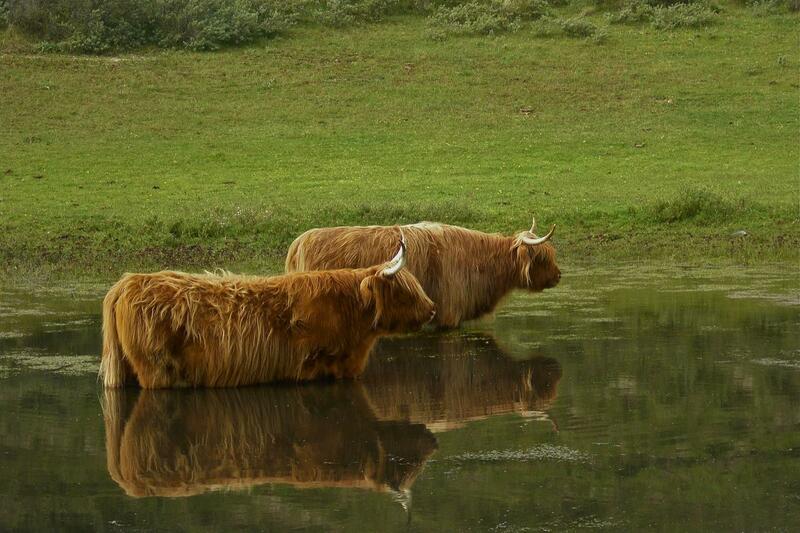 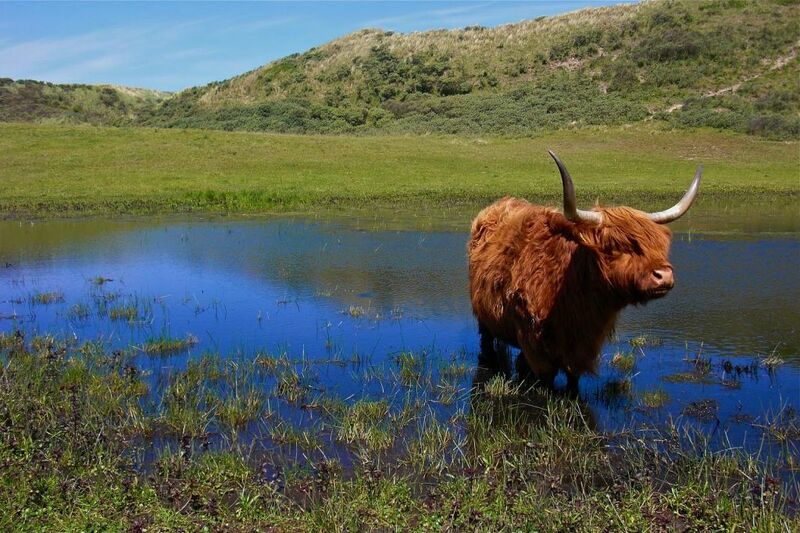 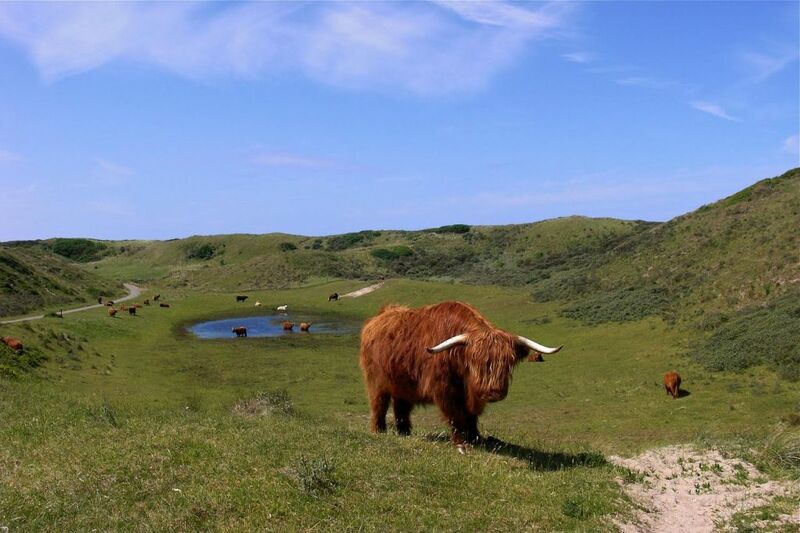 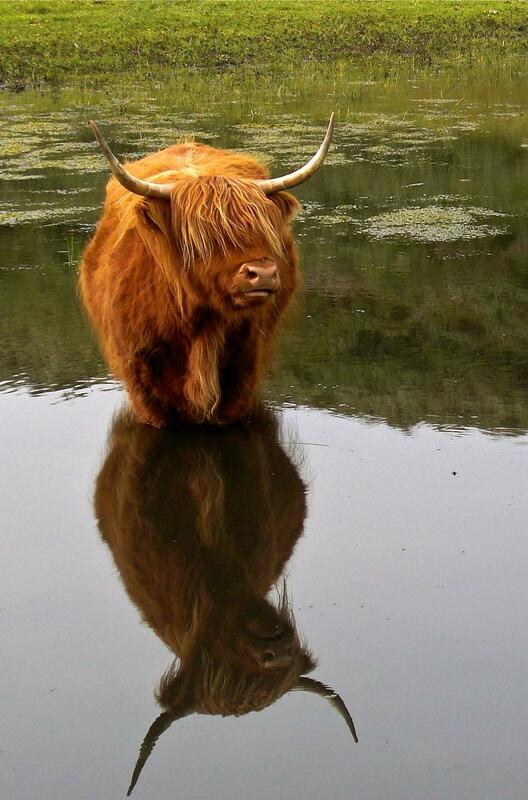 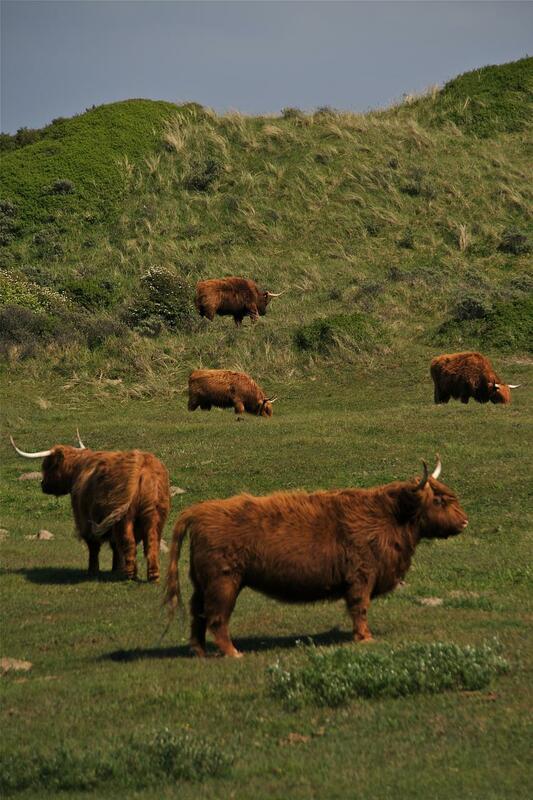 Highland cattle live longer and produce more calves than other breeds. 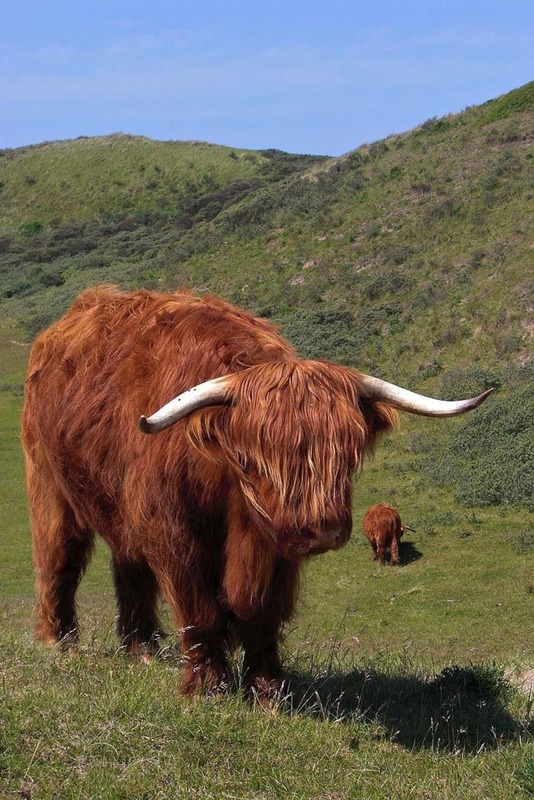 Highlands will breed up to twenty years of age.